In Offbeat, fourteen-year-old Rose is sure she’s going to become a folk-music sensation, with her best friend, Shilo, at her side. But first she needs to convince her mom to keep paying for her expensive violin lessons. Her mom wants her to join the youth symphony and focus on classical music, in preparation for a music degree at university. When Rose enters a fiddle competition with a unique prize for the winner, she hopes to show her mom she can really can make it as a folk musician. I didn’t know it at the time, but the years I spent as a child and teen taking classical music lessons were all research for this book. Like Rose, I play the violin. But unlike Rose, I do not want to be onstage! So I had to imagine the performance scenes and how Rose would be feeling. I also did a fair amount of internet-based research. My setting was inspired by a mish-mash of photos from music festivals around the world, as well as my imagination. I’ve known ever since grade two when I wrote my first book about an adventurous horse named Monty. That was my first and last book where I was both author and illustrator. Ever since then, I’ve tried to incorporate writing into all my jobs. I’ve always thought it would be interesting (and difficult!) to try to write a song. In grade four I wrote my second book (also about horses!) entirely in calligraphy. I’m not sure I could replicate that feat today. Getting stuck in the middle of a book! I find that characters come easily to me, but then sometimes I get stuck on plot and the only way through is to put the story aside for a bit. Doing something active can help unstick my thoughts so I always carry a tiny notebook or my phone with me when I run or bike… just in case. Connecting with readers and having the privilege of working and learning from other writers. I’m lucky to be part of a few critique circles and I love the process of reading other people’s work and having people critique my work as it inches forward towards a complete story. I hope that readers will think about how they too can follow their dreams. I also hope that the book sparks conversations that everyone – including adults – makes mistakes and sometimes don’t communicate in the best way, but change is always possible. Megan Clendenan is a freelance writer and editor. 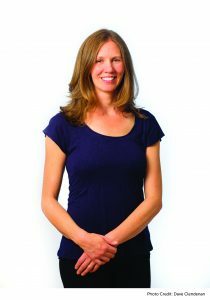 When she’s not writing, she spends her time running or biking through her local mountains or trying to play her violin. She lives in North Vancouver, British Columbia, with her family and their two incredibly fuzzy orange cats. 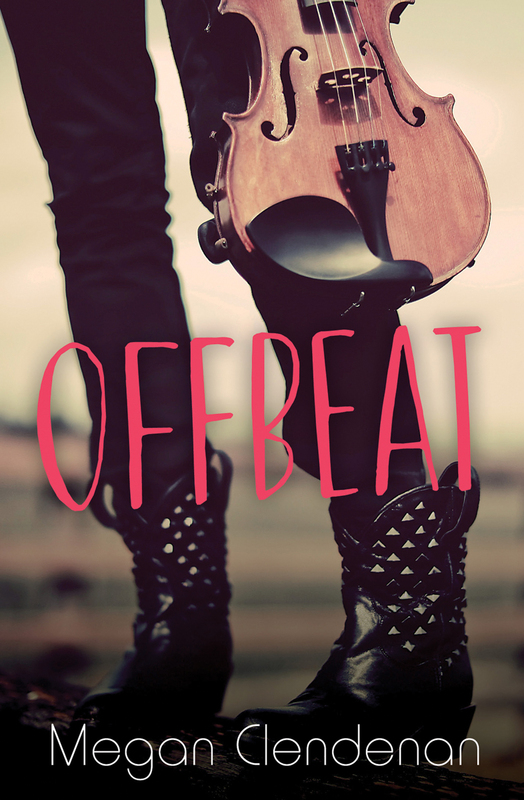 Offbeat is her first novel. For more information, visit meganclendenan.com.